The Deep Bed Filter utilize innovative principles of operation and exclusive design concepts to provide the very highest level of performance. Thanks to its deeper frame, implements, on a higher scale, the capitalization of the hydrostatic pressure concept, giving flow rates 50% higher than the standard flatbed filter series, using the same filtering surface, while reducing the filter fabric consumption. EdjeTech’s Deep Bed Filters are designed for use with all metalworking machines tools and are for filtering water based or oil based coolants with a maximum viscosity of 20 cSt at 40°C (104°F). 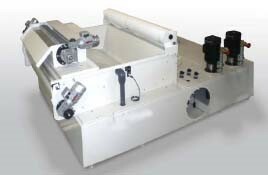 The system is designed for flow rates up to 185 GPM of water based emulsion or 92.5 GPM in case of neat oil. The liquid to be treated flows into the flow distribution trough, which allows the coolant to be evenly distributed on the fabric below. Due to the unique design of our special inclined deep filter bed, a high head pressure is built in the filtration zone and forces the solids to settle. A combination of liquid head pressure, the correct filter fabric and a layer of solids on the filter media creates a cake that improves the effectiveness of the filter media and provides a highly efficient use of filter the media. This unique design allows for the filter media to be fully loaded with solids and provides a significant savings in the quantity filter media used. Once a significant amount of solids accumulates on the filter media, the level of the liquid rises which causes the activation of a proximity switch. Once the switch is activated, the geared motor pulls the new clean fabric forward and also rewinds the spent filter fabric on a spent media roll for easy disposal. In case of malfunctioning of the control system level, the Deep Bed Filter series provides a mechanical system for avoiding any spillover event. As the media is being wound on the spent media roll, the fabric slowly passes over the higher section of filter bed, which allows the filter media to dewater and dry the collected sludge. As the fabric passes over the front edge, a scraper blade removes the partially dried sludge which falls by gravity into a sludge collection tank. 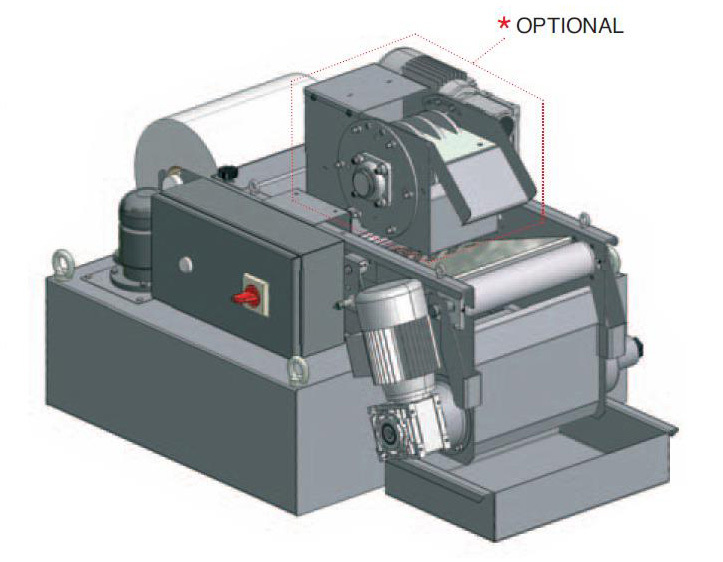 The spent media is then wound onto a spent filter roll which allows the operator to quickly change out the spent media.